It is dangerous and prohibited for our guests who are over 120 kg to use slides. Because of safety and health reasons, swimming wear is necessary. Daily textile clothing such as T-shirts are not allowed. Children under the age of 12 can not enter facility without a guardian. Parents or guardians are responsible for their children in the park at all times. It is not allowed to bring food and drinks in to the facility. Pregnant women, those with heart disease and open wounds are not allowed to use slides and pools. Pets are not allowed in the facility. There are safety deposit boxes where you can leave your belongings. We have slides for children under the age of 7. For our adult slides there is a minimum 130cm height requirement. The Slip n Fly Slide has an age limit of 16 years old or above. 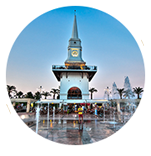 Please call our call center from +90 242 824 7707 for ticket prices and current sales. To be informed about our sales follow our website or Facebook page. Unfortunately we do not have student discounts. For groups over 40 people we can make discounts. Please contact sales department via e-mail indicating the date you want to come to DoluSu Park, number of people and your contact information. 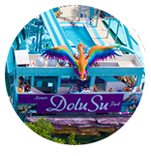 Please send e-mail to info@dolusupark.com. We will reply during the day. What is the price range for food and drinks? Strating from 3TL to 50TL prices change. We have different food courts for you to choose from. When do you open this summer? We are OPEN the season on 1th March! We look forward to welcoming you this summer. What choices are there for lunch? We have variety of food courts. 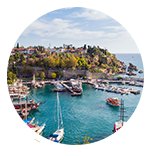 You can choose to eat from Cappadocia Restaurant which offers fast food menus or you can choose to eat at our beach side Open Buffet for 50 TL per person. Open Buffet is open from 11:30 until 14:30. Do you have safe boxes? Yes we offer our guests safe boxes with digital password where you can leave your belongings during the day. Yes you can use the DoluSu parking lot when you arrive here. Do you have Sunbeds and shading? Our facility have sunbeds and shade, no extra charge is requested. Do you have Changing Rooms and Shower? Yes we do have changing rooms and showers. Should I bring something with me? Are there rules about dress code when entering pools? Due to health and safety reasons only swimwear is allowed when entering pools and slides. Daily clothing such as T-shirts are not allowed in water. Remember to bring towel with you. Can I exit and reenter the facility during the day? Due to safety reasons you can enter only once in to the facility. Once you exit, you will not be able to enter the facility with the same ticket. Are there any age or height restrictions for the slides? 1. For guests over 120 kg it is dangerous to use slides and therefore not allowed to enter slides. 2. Our Children Aqua Tower and its slides are for children ages between 0 - 7. Adults are not allowed to slide from children slides. 3. Our adult slides have height restriction of 130cm. 4. Kay Uç Kaydırağında +16 yaş sınırlaması vardır. Can children enter the facility alone? Children above age 13 can enter DoluSu Park without a guardian. Children below age 12 are not allowed to enter alone without a guardian. In the facility the guardian is responsible for their children. Do you have any sales or discounts? Yes we do have sales within the season. To be informed about them please follow our Facebook site or website at www.dolusupark.com.